On Tuesday 25th October 2016, BROWNS was proud to host The Australian Red Cross Blood Services representative Rachel Brough. She is the Community Relations Officer for the organisation and gave a very clear and important speech to a group of students from various English levels. She discussed the number of people who need blood versus those who donate blood; the whole donation process; who can benefit; and also donating requirements. The students asked questions and a few signed up to donate blood before the end of the year, which, in Australia, is the time when the Red Cross Blood Service is most in need of blood donations. 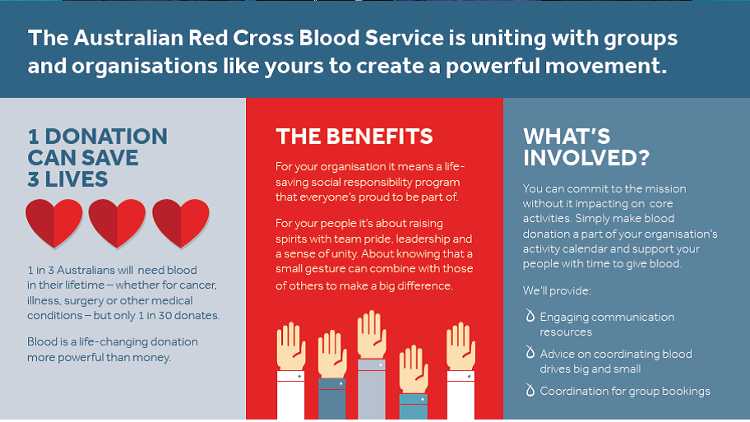 Feel free to go to the following Facebook pages or websites to learn more about The Australian Red Cross Blood Services or Red25.